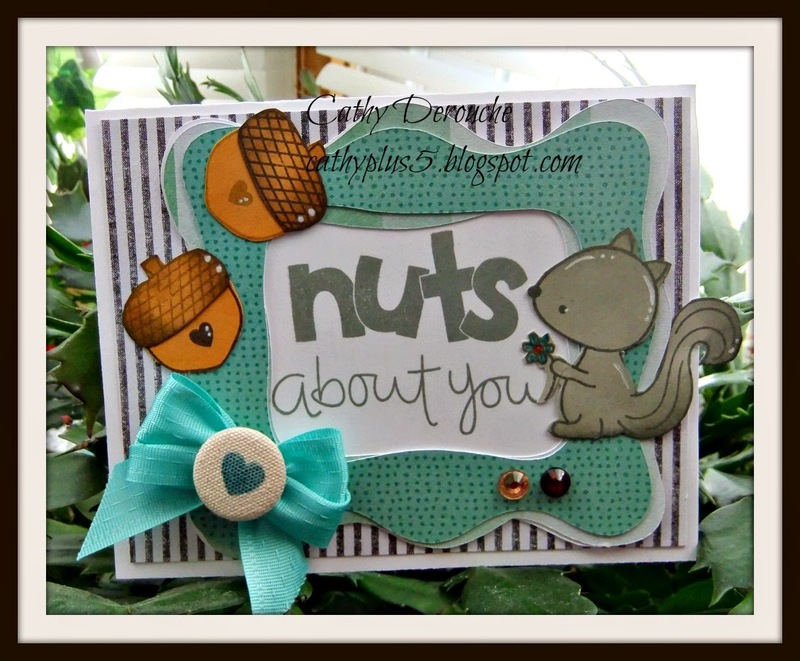 Hello crafters,Cathy here from Cathyplus5 and today I am posting for the Cuttin' & Stampin' challenge #12. I have to say this was a fun challenge . the Products I used made it real easy to come up with some fun cards..
and make sure to enter our challenge. I hope you like my creations and will come back again. Have a great day!! This challenge is all about cute critters. Your project should have some sort of cute critter on it. 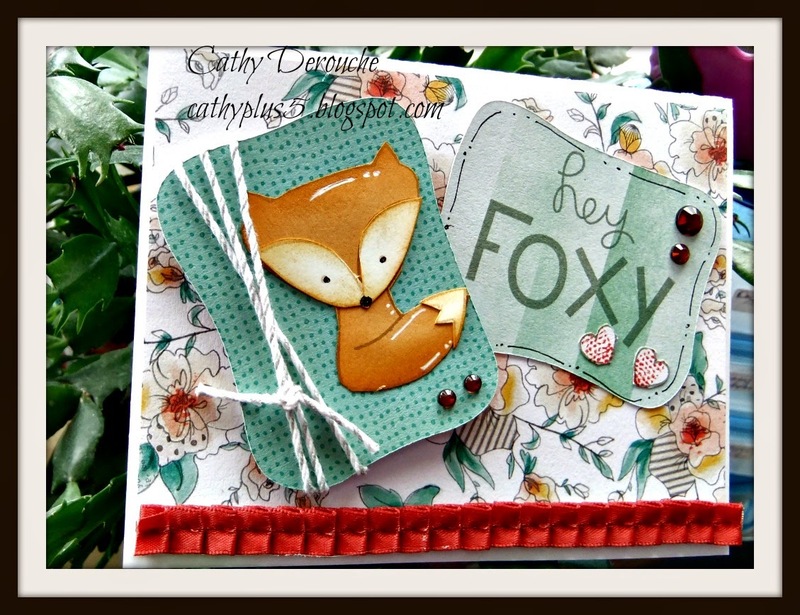 For my card I used the cute Fox from the stamp set and stamped him onto the pattern paper. I then fussy cut the image out and glued the pieces onto another stamped image. I then fussy cut the entire thing out. I stamped the stump and flowers onto my card base. I colored the images with my Copic makers. I then added the sentiment to my card front. I added the little paper strips; which are the top tabs off one of the pattern paper sheets. I then added the fox using some foam tape. 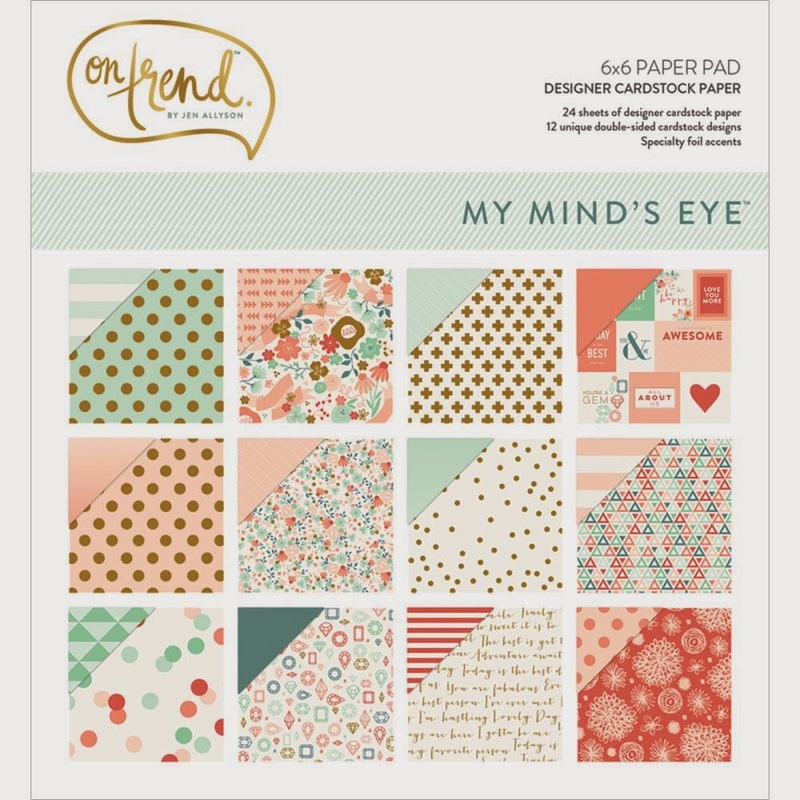 I hope you'll pull out something with a cute critter and link up your project HERE. Bi-Weekly Challenge #12 - Cute Critters! 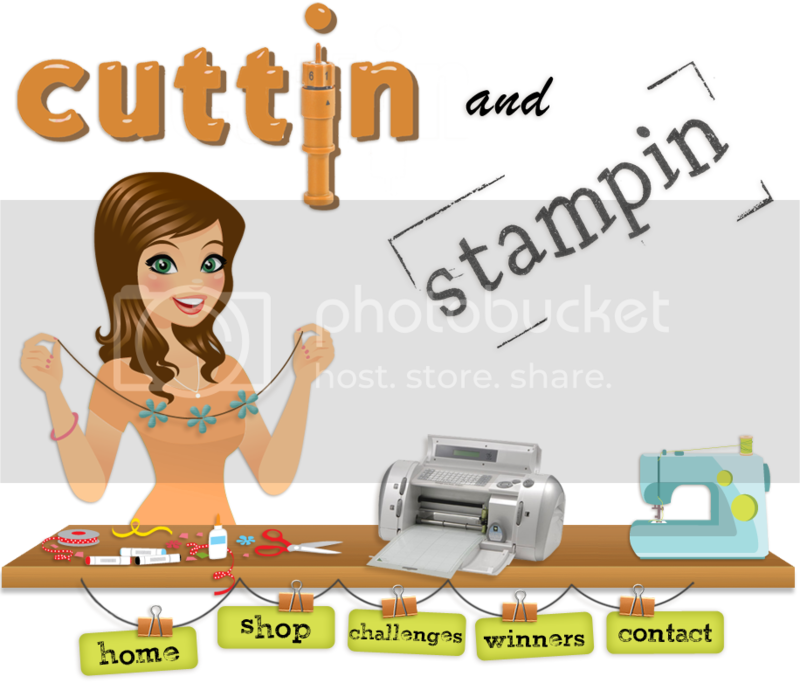 Hello again and welcome to another challenge at Cuttin and Stampin!! It's Jenni with Wish I Was Scrappin! This challenge is all about cute critters!! The design team was fortunate enough to receive some super cute critters from My Favorite Things! 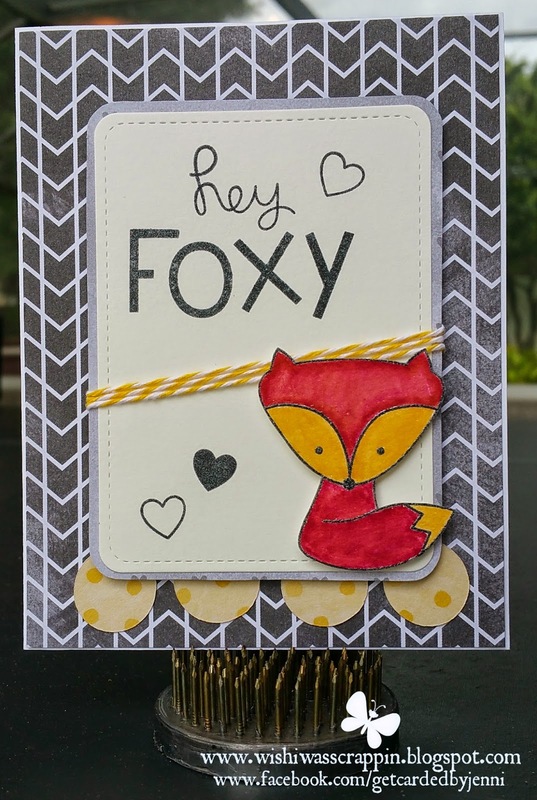 The image I've chosen today is the cute little fox!!! 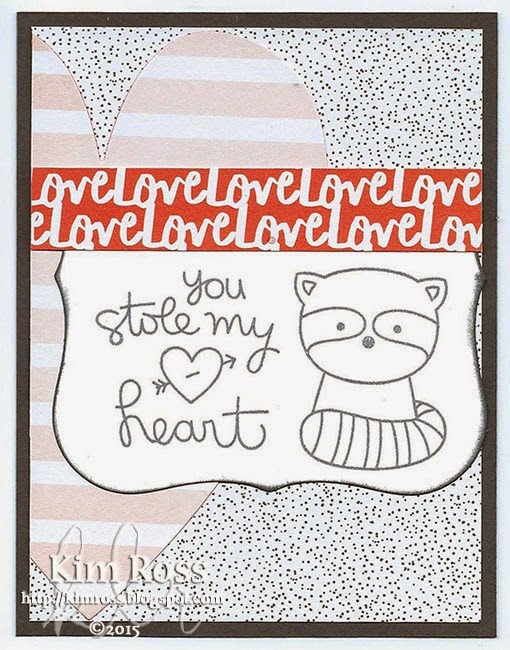 This stamp set has many different little add-ons to enhance your design, I used a few of the hearts too! 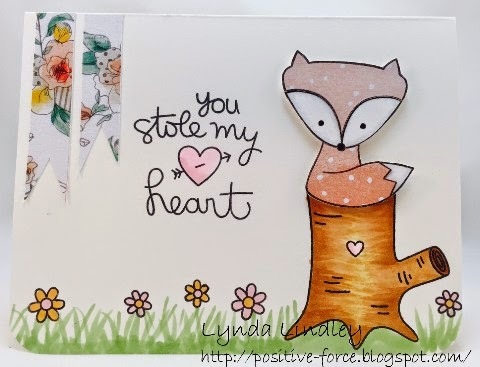 I used my Tombow Art Markers to color in the image and I also used some Lemonade Yellow twine from Bella Creationz and Timeless Twine to round out the sketch! Biweekly Challenge #12 - Cute Critters! Hi All! Kim here from Card-E-ology. Everything is coming up Spring (well, it is in most areas of the country, anyway). Spring is when all the cute little forest creatures and baby critters make their appearance, and we're ready to focus on that. 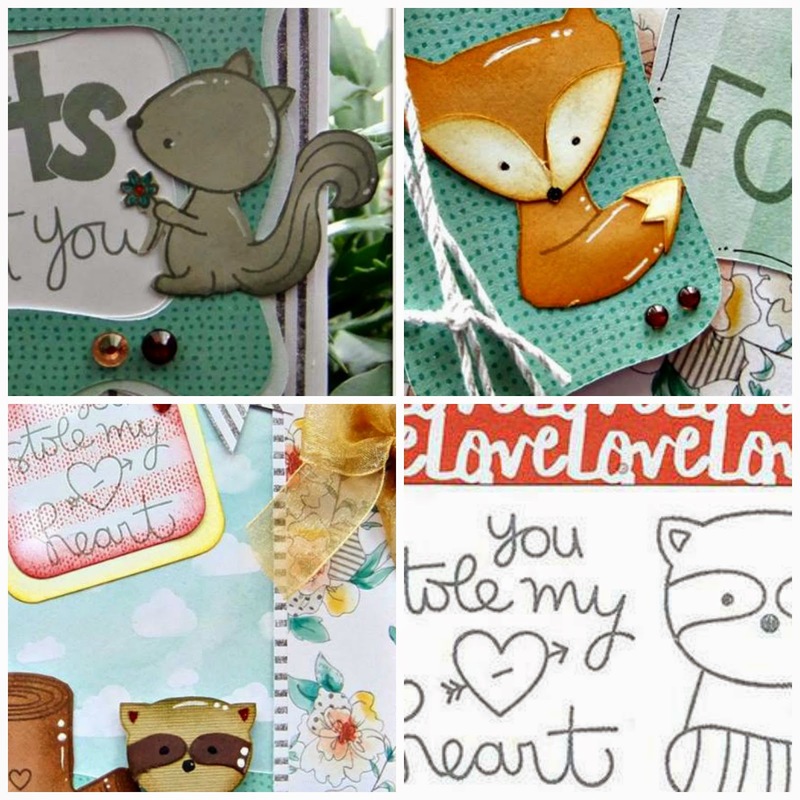 MFT Cute Critters stamp set and Amy Tangerine Stitched collection 6x6 paper pad. Cuttin and Stampin Scrappy Supplies. My challenge project focuses on love. Remember, love can be any time of year, not just Valentine's Day. Think a note in hubby's briefcase, little card in kid's lunchbox, etc. 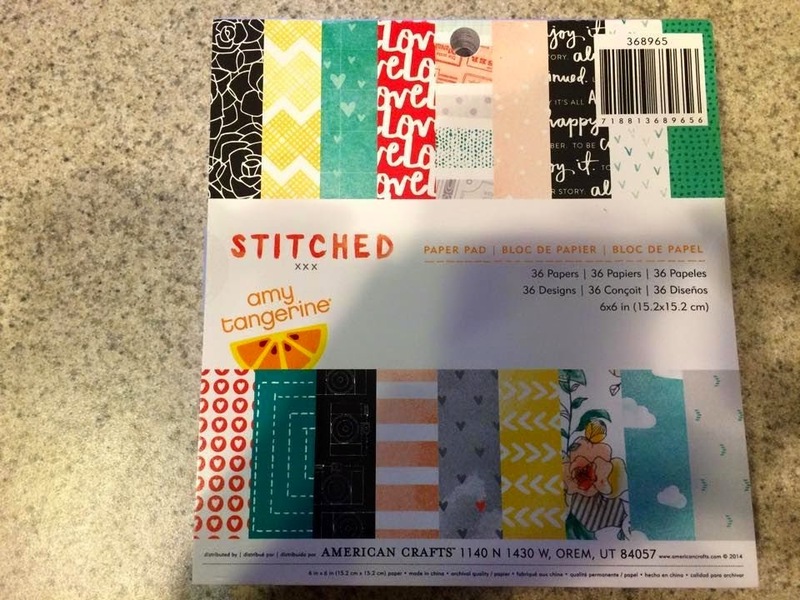 All three of the patterned papers I chose were in the Amy Tangerine "Stitched" pad. 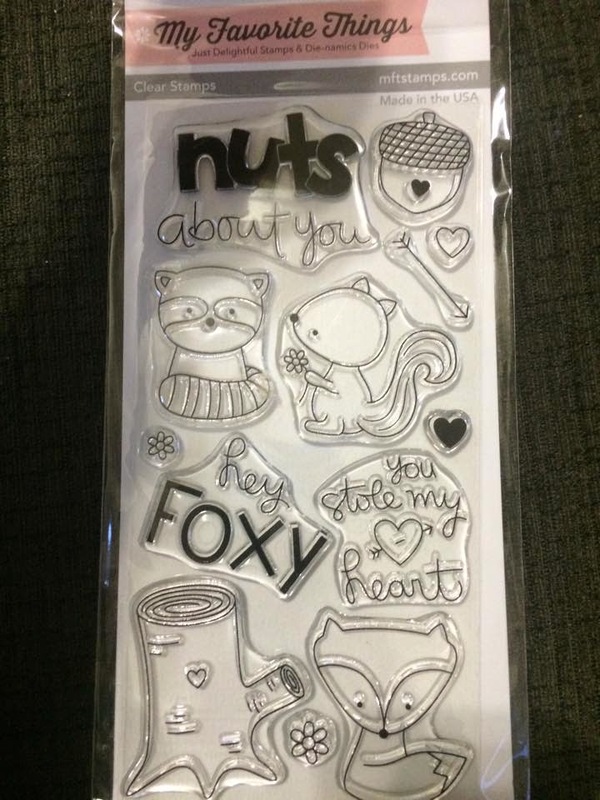 I used a Spellbinders label die to cut out the raccoon and sentiment, but the card is only showing about 40% of the whole die shape. As you can see, the heart is also only showing a portion of the shape. 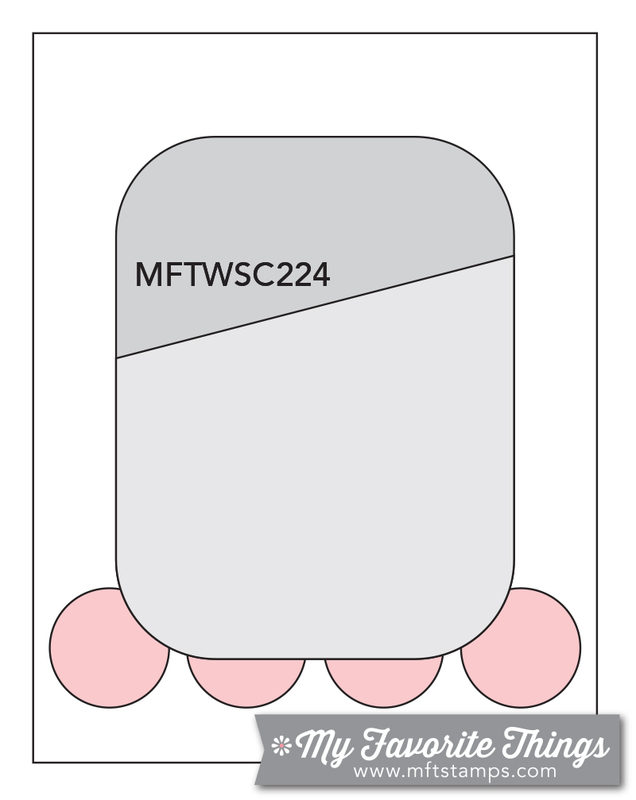 Your investment in dies is so much more valuable when you flex the creative muscle and realize you don't have to use the entire shape. I felt the "Love" paper was very bold to the point where it could be overwhelming, so I only used a thin strip. The card itself is a very dark grey and I used Memento dye ink in Grey Flannel for stamping. Please find the cutest critters in your stamp collection and share your project with us! We'd love to see how adorable they are! 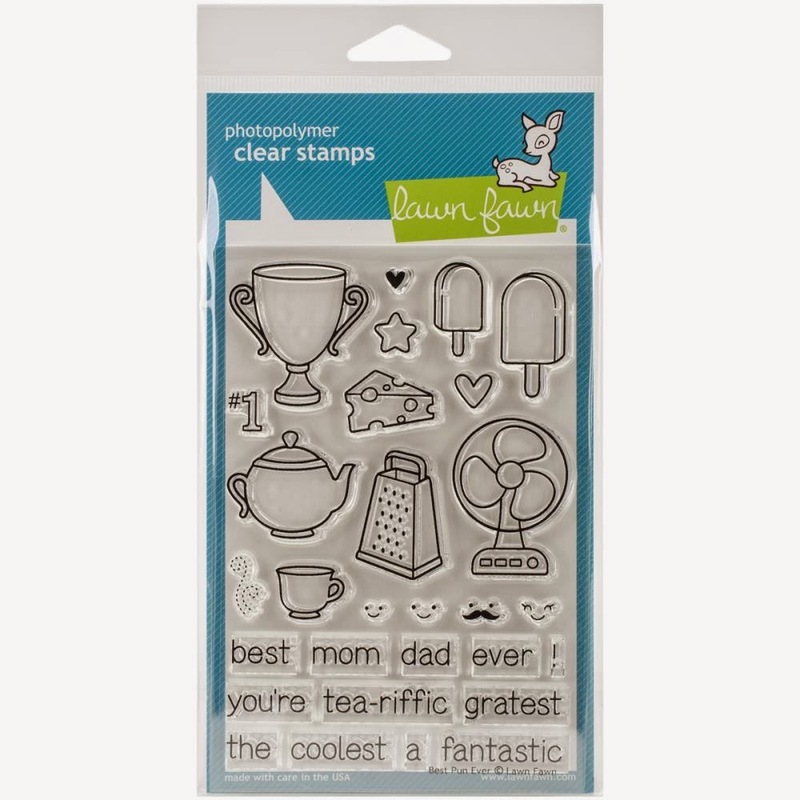 Happy Spring & Happy Stamping! To claim your prize, email turtlelelove@gmail.com. Copy the blinkie and display it proudly on your blog. Congratulations to our winner - Hope to see you at the next challenge! on the stamps are just too cute. You can link up your PUN card HERE.